You can click the "View Expanded Image" button under the page to make the image larger. Technically this isn't the inside cover. 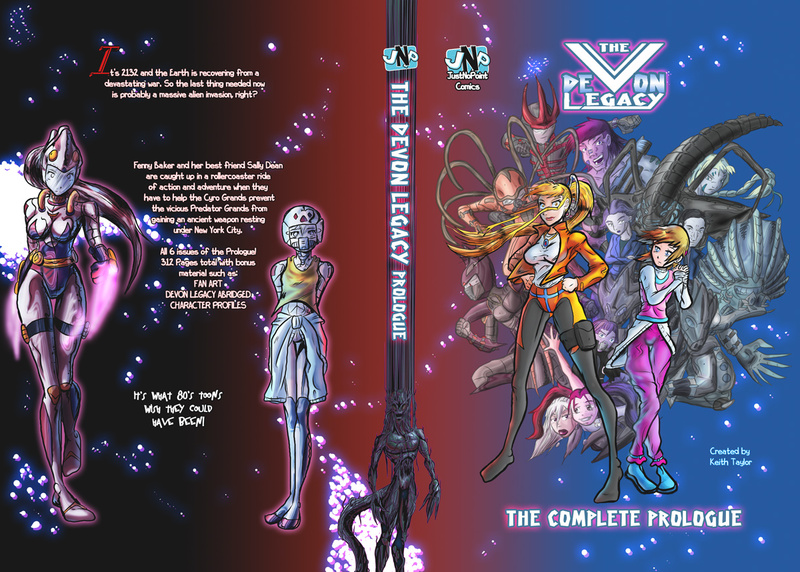 The print version will only have the front cover of Prologue but as a special I figured I'd show it in it's full format. Back/spine/front. This is the image used to wrap the entire prologue in graphic novel format. The Devon Legacy Prologue was a 6 issue; near 300 page story that set up several things for the story proper. So if you haven't read it yet you totally should! Page 1-3 will be uploaded this week starting tomorrow! If you don't want to churn through near 300 pages you can always catch up fast in the abridged version!